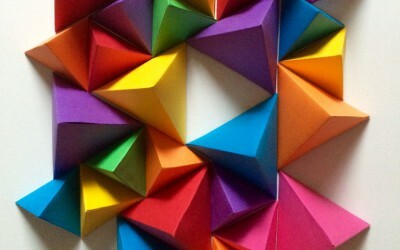 Art and maths come together to make colourful 3D models. 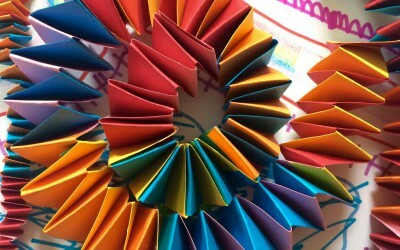 Remember making these accordion paper chains when you were a kid? 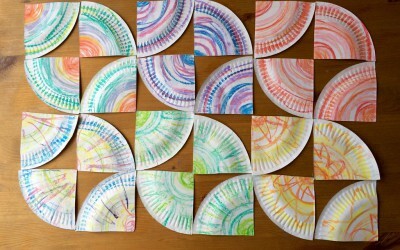 Cut up a paper plate into quarters and see how many patterns you can make.